Faculty Staff Union President Marlene Kim’s comments to the Board of Higher Education. May 1, 2018. Middlesex Community College, Bedford, MA. 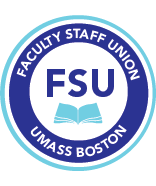 We hope you are well and can come to the FSU meeting on the budget cuts and an update on bargaining on Wednesday, October 12, Campus Center 2540, 11-1. Let us know if you will be attending so we can order the right amount of food.